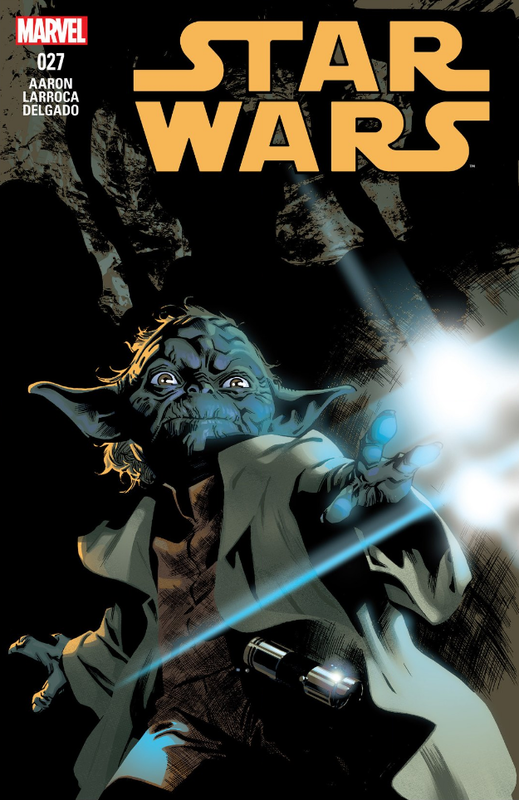 Star Wars #27 continues the mini-adventure of Yoda as he finds himself drawn to a planet of child warriors. However the wizened Jedi master finds that this planet is also full of surprises. Not only are all the occupants young, but they’re armed with magic rocks that defy manipulation by the Force. Taking a bold step away from the usual Star Wars fare, Jason Aaron plunges this comic into some new, fresh territory that explores different areas of the galaxy. It makes for a good read. 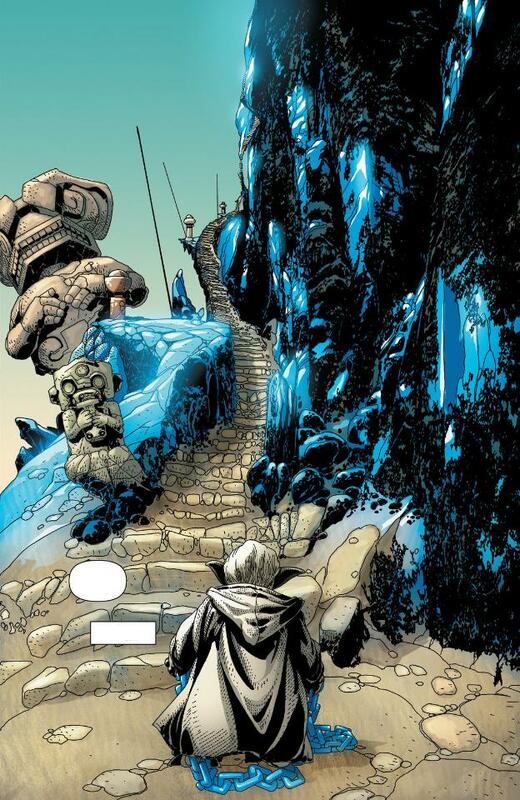 Arriving on this new world, one of the first things Yoda learns is that the blue rocks on the planet are beholden with special power. They’re not kyber crystals, but their properties are certainly unique and tied to the Force. When thrown, they are difficult to deflect. The inhabitants of the planet are also able to draw upon them to manipulate the Force. They call it stonepower. Yoda also learns that the natives are divided into the Mudhawkers and the Rockhawkers. The Mudhawkers lean toward the light side of the Force, while the Rockhawkers walk in the dark side. 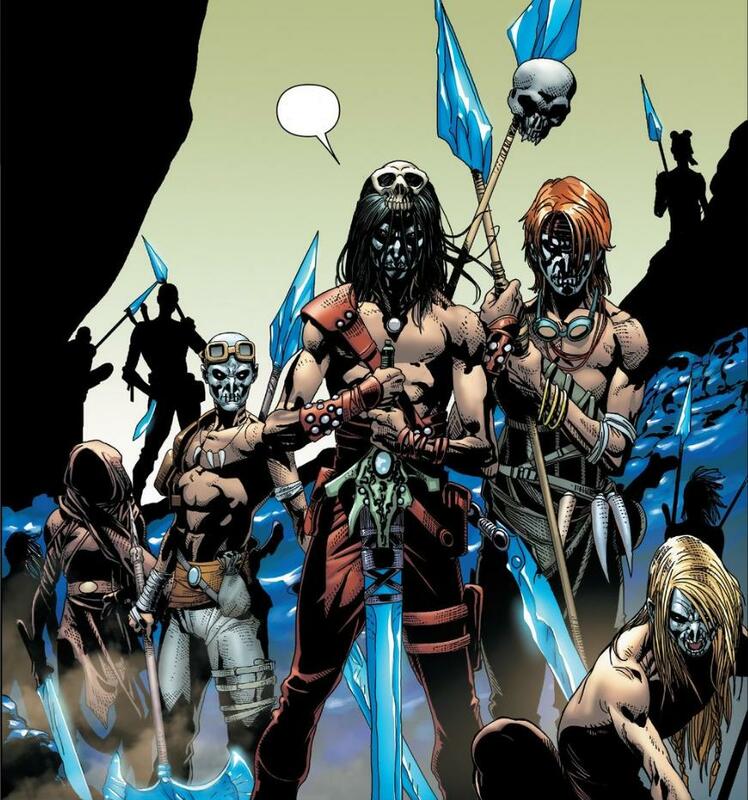 The comic explores both groups, creating a tantalizes mirror world of how the Force could be viewed by primitive cultures separated from the knowledge of the Jedi and their teachings. Adding to the intrigue is the hint that something far more mysterious lies in the heart of the mountains. Of course that’s where Yoda must go next. The story Jason Aaron comes up with for this issue is pretty good. It’s compelling and fascinating. There’s all these new elements brought in via these strange, primitive culture of children. Yet there odd ideas and ways mimic things we are familiar with. There’s shadows of the dark and light side of the Force, hints to the ways of the Jedi and the Sith. 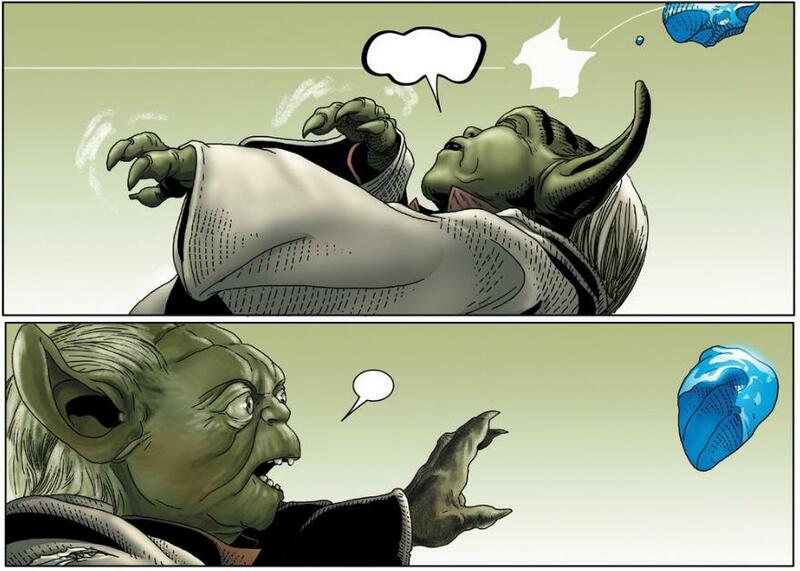 It’ll be interesting to see where the next issue goes and what other surprises lie in wait for Yoda. One of the other cool factors of this issue is how Yoda is creatively hamstrung in the story. Yoda is one of the most powerful Jedi masters, and it would be easy for him to defeat any foe put up against him. However the magic rocks bring balance to Yoda’s extreme power. It’s something he’s not familiar with and it surprises him. It also gives the natives an edge and a way to actually attack and defeat him. It’s not often you see Yoda outmatched. Bringing all to life is the artwork by Salvador Larroca and Edgar Delgado. Salvador’s style brings a lot detail and some good likenesses to the characters. Most of Yoda’s scenes look like shots from the films. But he doesn’t stop there, and his work with the children is really good. They all look lifelike. Delgado adds a nice color pallette to all the panels and does a great job with the lighting and shadows. It’s a good looking comic overall. 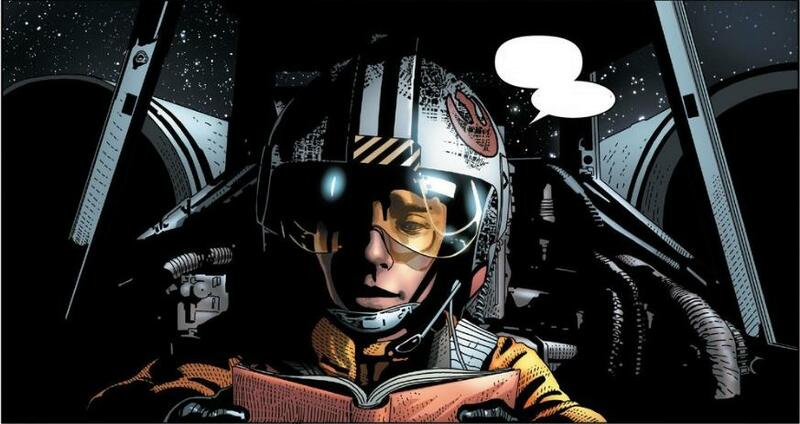 With good visuals and a intriguing story, Star Wars #27 scores some high marks. This is definitely an issue you’ll want to check out. I give it a five out of five metal bikinis.